Tombeau for Richard Dohrmann. For violin and piano. 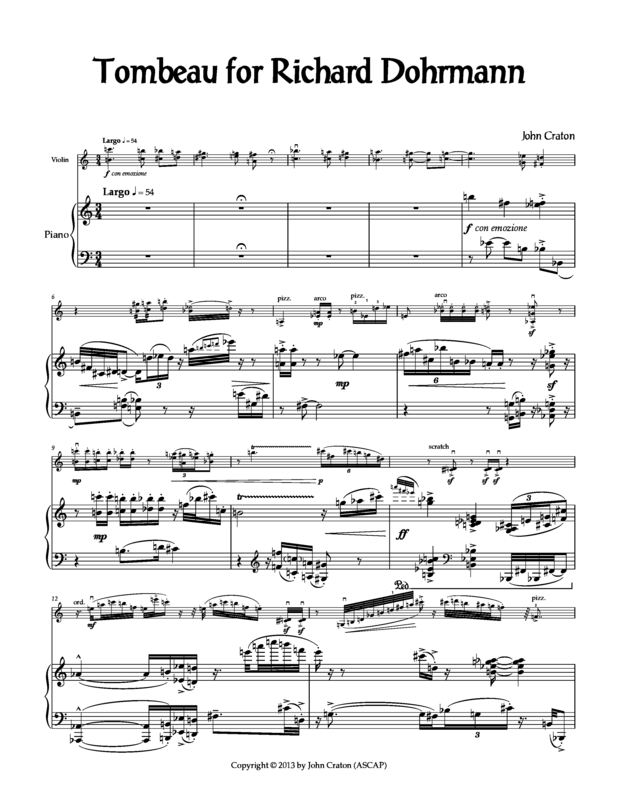 Composed in memory of a composer-friend who passed away very suddenly, the style intends to imitate that of the late composer (avant-garde) and incorporates ideas expressed by Dohrmann which he had intended to use in a composition for violin & piano that was never completed. Performance Time: App. 6 min.